A panel of budget writers on Wednesday advanced the Texas Senate’s two-year, $248 billion spending plan that includes a boost for public schools and a cut to Medicaid, setting the stage for negotiations with the House. Both chambers have agreed to pump an additional $9 billion in state revenue into the public education portion for the budget, but now lawmakers must reconcile their differences over how to spend the money. 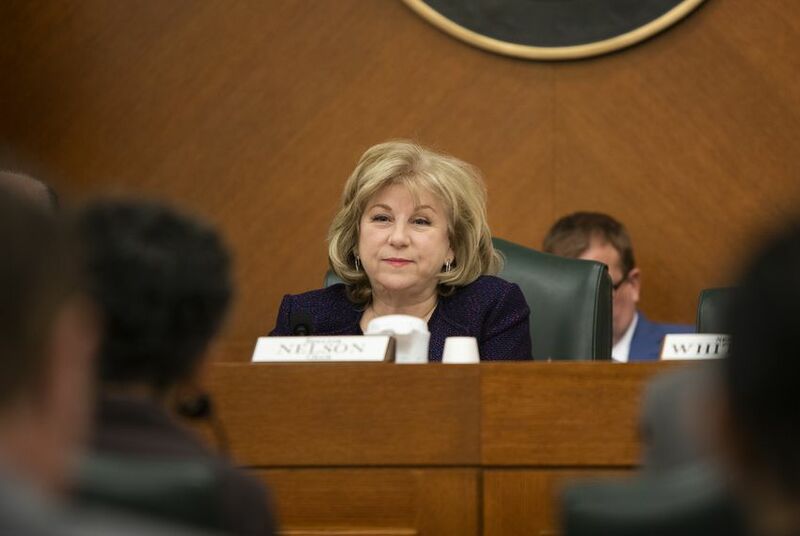 “Members, this is a robust, financially responsible budget that meets the needs of our growing state,” said state Sen. Jane Nelson, a Flower Mound Republican who chairs the Senate Finance Committee. The budget passed unanimously out of the committee. The Senate favors a $4 billion proposal for a $5,000 across-the-board pay raise for public school teachers and librarians and another $2.3 billion for school districts. The House, meanwhile, would provide $6.3 billion to school districts, which could make decisions about targeted pay raises or hiring additional staff. The House and Senate have agreed to spend $2.7 billion on property tax “relief,” though the chambers have not decided on a mechanism for slowing the growth of bills paid by home and business owners. Before the budget’s passage, the Finance Committee voted narrowly to keep a controversial provision targeting a proposed high-speed rail line between Houston and Dallas. The spending plan also contains a provision directing the Texas Health and Human Services Commission to cut costs by $900 million. Wednesday’s version of the Senate budget plan is $4.8 billion larger than the initial proposal unveiled by the chamber in January. It next heads to the full Senate for approval, where it is expected to pass easily.